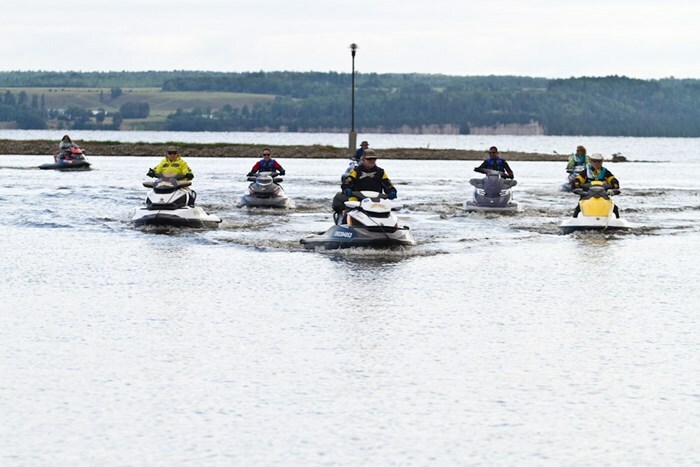 A new twist to an old idea has been popping up in the last 5 years: touring on your personal watercraft (PWC). More and more stories are appearing about folks taking day and multi-day trips on the lakes and waterways of Ontario. 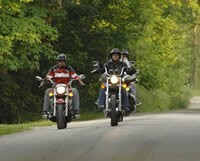 Traditionally, these types of trips are the domain of motorcycles—taking your partner or spouse and riding with a few friends, to visit some part of Ontario that you heard about and always wanted to go. 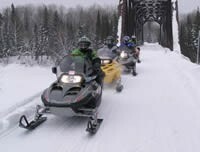 Snowmobilers are also heavily involved in this type of touring, picking a destination and riding with a group of sleds on multi-day adventure trips. This natural trip format is now evolving to include PWC touring adventure trips. PWC's have typically been stereotyped because of the annoying buzzing of young men riding circles in front of the cottage with a squealing young lady on the back. Often, PWCs are dismissed as a fun toy to burn up a few hours, but nothing more. But PWC technology has come a long way in the last 15 years and these machines deserve a revisit. 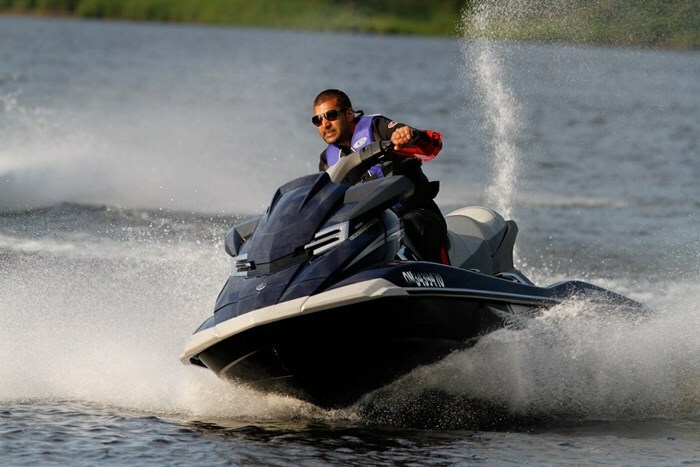 Modern PWC's are not only more powerful, but the stability and safety features have dramatically improved. 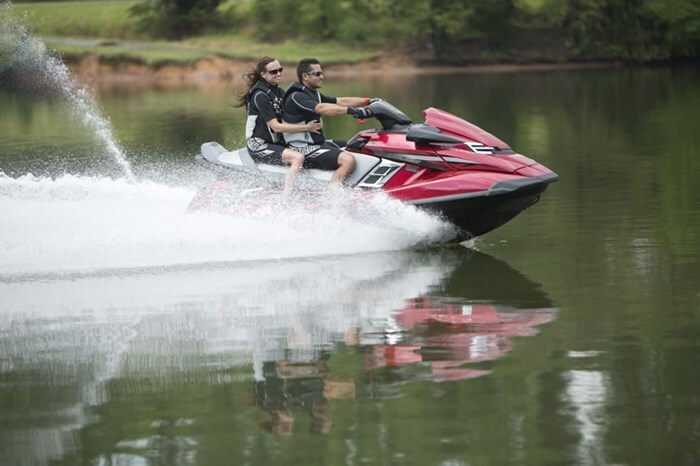 Seating ergonomics and other creature comforts such as cruise control, no wake zone control, reverse drive, dry storage compartments and even suspension, makes it an ideal time to consider PWC touring. The idea of a PWC as an adventure touring machine has finally come of age. When choosing an ideal machine for distance touring, there are a multitude of brands and models. 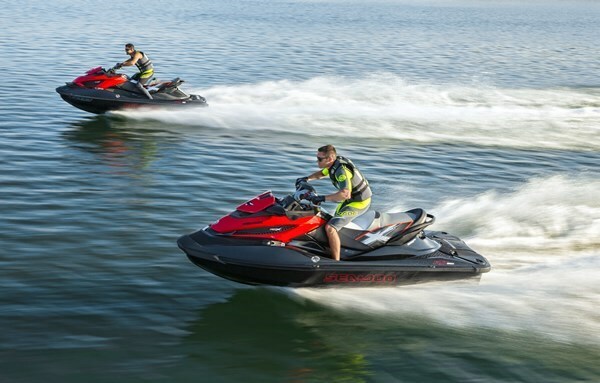 Generally, a 3-seat machine is desirable, as it weighs more and is a more stable platform in a variety of water conditions. 185 horsepower is the lower end of required power, with a typical touring machine running between 215 and 275hp. This may seem excessive, but these motors better tolerate cruising for extended periods—a real consideration should you be planning to put many cruising hours on your machine. Also, the larger, modern motor will be surprisingly fuel efficient, which makes it easier on the pocketbook. Many of the manufacturers now offer designated cruising models with options and upgrades that were not available in the past. More comfortable seating, with additional back support for both driver and passenger, are usually offered, as well as cruise control and a no wake zone command. I recommend visiting your local PWC dealership to see the range of available options and comparing makes and models to find out what fits best before buying. Now that the concept of PWC touring is on your radar, where can you ride? An excellent place to start is the Trent-Severn Waterway. It is ideally suited to PWC touring in Ontario for many reasons. It’s huge (386 kilometres long), and is easily accessible across most of the southern part of the province, connecting Lake Huron and Lake Ontario using a network of canals and locks. There are a host of public boat launches throughout the waterway, and the area is well-supported in terms of signage, maps and charts. Fuel is easily accessible, as are food and accommodations. Day and multi-day trips are excellent ways to have some fun and adventure visiting the scenic towns that have been formed around the lock system. One of the major advantages of PWC touring is the portability of the machines on land. Two cruising PWC's can easily be towed by a minivan or small SUV. With a bit of practice, PWC's can be launched and loaded in minutes. This opens up a plethora of destinations as there are many lakes, rivers and waterways in Ontario that are well suited for PWC touring. Avid snowmobilers will understand that the flexibility to tow their power sports machine to various destinations exponentially multiplies the fun factor. 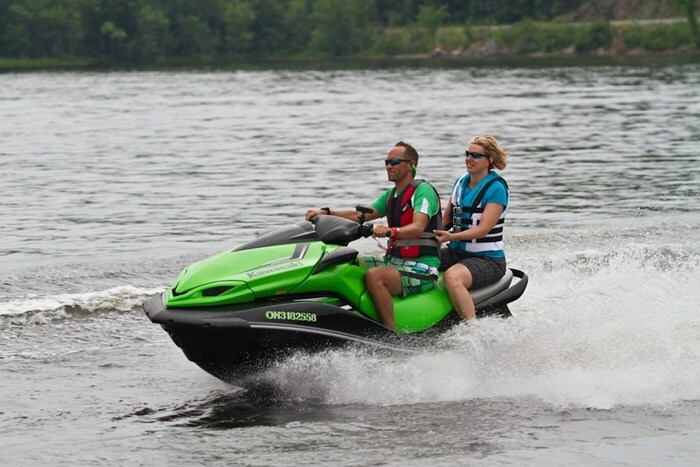 If you want to try a fun, exciting new way to explore Ontario, you should consider PWC touring. It’s a safe, affordable way to get out on the water this summer and feed your adventurous side! Boaters from around the world are drawn to Ontario waterways, and for good reason! 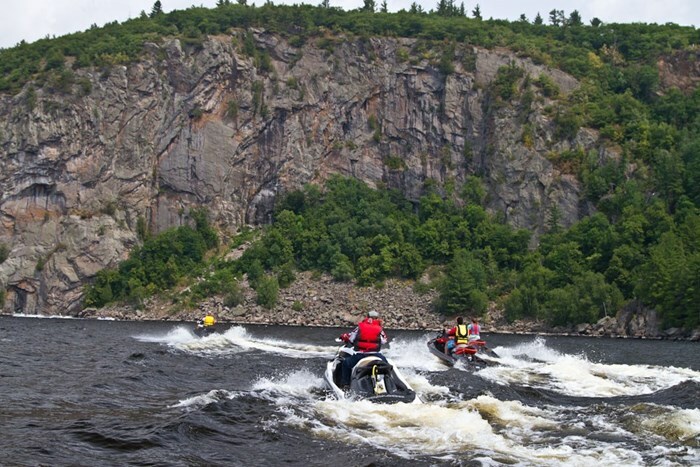 With more than 400,000 lakes, streams and rivers, Ontario is a boater's haven. Experience beautiful scenery, enjoy cool, clean water and wildlife viewing opportunities. Ontario has created some world class riding opportunities set along a backdrop of unparalleled scenery. These significant trail networks involve awesome communities like Elliot Lake, Haliburton, Parry Sound, Mattawa, Cochrane, and large tracts of Eastern Ontario. Ride looped trails for the day or pack your bags for an overnight trip. Use this site to jumpstart your next ride. Throughout Snow Belt Ontario, we're rolling out the white carpet to welcome you to "Snowmobile Paradise Ontario." Ontario has the playground to fulfill any snowmobiler's fantasy. Cruise along the highways, glide down scenic back roads, follow pre-planned routes or create your itinerary as you go. Whatever your preference, Ontario is one of the best destinations for motorcycle touring. Whether you choose a weekend getaway of spontaneous cruising or a road trip lasting several weeks, the diversity of terrain and scenery will have you hooked. Cruise past fields and forests and through towns and cities. Experience that unparalleled feeling of independence and freedom that comes from touring the open road... here in beautiful Ontario.